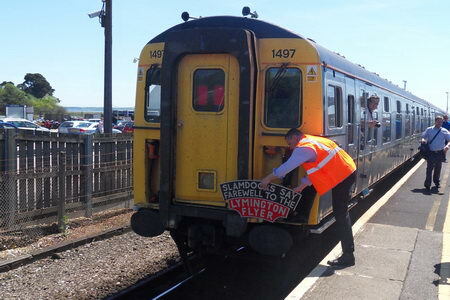 1498 has just arrived from doing its last journey from Lymington Pier with the 12.14 service. 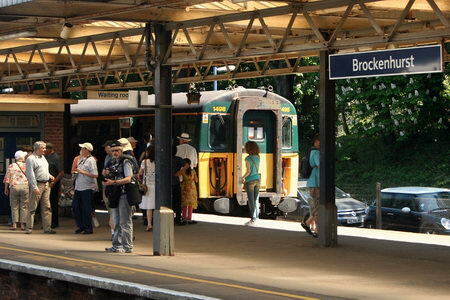 1497 is seen departing platform 1 with the 12.29 service. 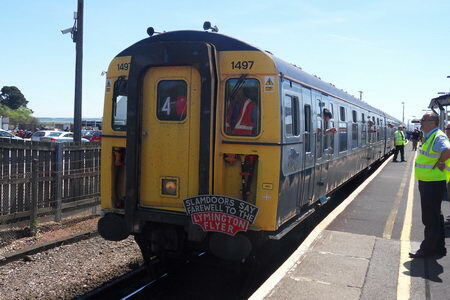 This gave an opportunity to people who are usually asleep when this train departs platform 1 to have a ride on the crossover from platform 1 to the Lymington branch line. 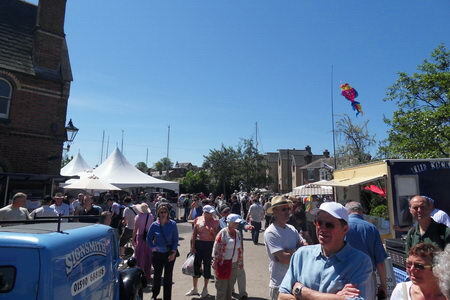 It's approaching lunchtime, the sky is clear and Lymington Town car park is very full! The headboard is being placed on the front of 1497, and the doors are already closed! Due to the headboard being difficult to take off from the other end, and the tight turn around time, 1497 is seen leaving with a service from Fareham to Eastleigh? 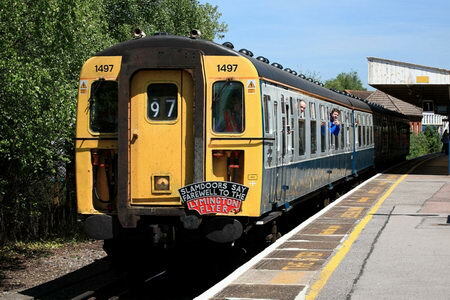 The driver didn't have enough time to set the headcode before the gaurd signalled to go. The headcode was fixed a few seconds later.